Download PakUS. Download Pak US. Download Pak US. I think a pak64.USA set is very close to being a releasable set. I've played a little bit and so far it does pretty well on it's own. Most cargos can be carried from 1830 on up. What I'd like to know is what else has to be done before this set can official release? Is the change in vehicles and roads enough to constitute it's own pakset? Or ooes it need it's own industry chain, road vehicles, planes, etc.? If someone could help me out with getting a Pak64.USA Pakset released that would be greatly appreciated. Fabio: His "special color helper" tool for GIMP made converting the special colors a breeze. It would have taken months, even years, to do it manually. Prissi, I would have scrapped this project long ago had it not been for his advice (especially about the diagonal length setting). Many buildings are not very US in pak64. Also the shadow of the trains is very different from SImutrans. Thus you maybe should also change the landscape (i.e. the texture_lightmap.png or so) to reflect the OpenTTD shadow direction. You could of course release a vehicle set; if you want to make a full pak64, I would suggest to also update the houses (maybe even using some pak128 houses rescaled and mirrored). Just downloaded a bunch of this stuff. Very nice to see some Americana on the simurails! I am very busy right now, but when I get some time I'd be more than happy to help out with balancing or testing for a future pakset. You might want to ask rfg123 for some of his stuff. Here's a thread with some nice early roads, and I know he's done some other work in the past, and if he returns, he might be able to help convert some stuff from pak 128. Prissi, I didn't notice the shadows until you mentioned it. It looks like th sun is in the lower-left in Simutrans, and I think in the lower-right in TTD. The tile thing could get annoying, I'm wondering how hard it would be to mess with the sprites to get the shading right. As for US-looking buildings, there is a US city set grf for OTTD I might be able to use, a signal set, and a road set. I'll ask about all of them. On a side note, I've seen the half-height tile set that Carlbaker has been doing, and I think it'd would work; with either re-shaded US vehicles or reshaded tiles and buildings. Personally, I don't see a reason not to distribute it as a separate pak as opposed to addons-for-pak64... Even if it's mostly pak64; perhaps one day it'll be mostly its own. Also, at some point, I need to work on my roads... and make elevated roads and such. Or perhaps a better artist than me, as I'm honestly not good - I work on top of others' work with graphics. Planning is about as far as I made it for a pak64 USA. I did quite a bit of research on numerous aspects, including industry chains, roads/bridges, buses, etc. However those roads were the only real progresss made. Unfortunately, I no longer have access to a computer, hence my absence from this forum. The files posted on my road thread are all that remains. I wish you luck on this project, I will gladly pick up where I left off once I move to a more permenant home. Same here. Bootstrapping a pakset like this is pretty much the most efficient process. You might want to have a rough or minimal idea about infrastructure and vehicles, though, perhaps recoding some of it with just your data, using the "host" graphics as placeholders. From a pakset maintainer's POV, objects can be classified according to ease of replacement, and you want to minimize damage in this area. Or, to put it differently - players just hate when you remove stuff that has numbers they need to consider. It's understandable for both sides, but... well. OTOH "forgettables" like houses or trees are not a problem. However, note that this will make many of the buildings wrongly lit. I tried redoing some of the grahics to correct shading. Swapping the colors around from dark to light produced some unusual results. Flipping the graphics around works for almost all of the cars and most of the locos, but there are some that would need tweaking after being flipped. 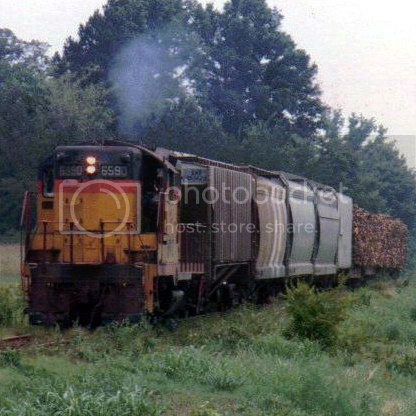 Most notably the GE AC44CW, ES44AC, and the shay would have to go under some major changes if flipped. But but a good portion of the units from the 60's need some minor tweaks if flipped. I flipped and tested the Acela and the turbotrain and they look good. IDK if it'd be easier to flip and tweak the vehicles, or flip everything else. The tracks need to be edited also. Lost of the pak64.us trains are faster than the default tracks allow. Issac, Thanks for the support. Fixing the night color issue on your roads wouldn't be too hard. Fabio's GIMP tools should make short work out of it. The only issue I have with it is the cityroads wind up with bridges across the map... As for elevated roads, If I had the graphics and the code for the base ones and your roads I could probably make something work. VS, I do have an idea for road vehicles. A good portion of the Pak128 ones are based on american prototypes. (Whites, Macks, PBs, Freightliners, etc.) so they could be resized. IDK about trams, boats, citycars and airplanes. I'd like to keep factories the same, just with higher capacities and rates for consuming industries. Carlbaker, Thanks for the link. IMO, the buildings could be flipped similarily. I also think a lot of building that are in your half-height or pak64.unity would work out pretty well for pakUS (albiet flipped). Any chance that pak.unity could be modified (mostly graphics flipped) for pak.us? If there is real movement for pak64 USA/north america, I'm up for helping in any way, especially graphics. I don't play pak64, but if that is where a USA pak will finally get off the ground, I'll get on board with 64 tiles. checksumdigit, any help would be appreciated. Pak64.usa uses a different vehicle scale than normal. Most of the rail vehicle lengths that I've done are between 5 and 8. Some go as high as 10. IMO the different scale doesn't look too out of place with everything else. Buildings end up being larger, which is a good thing and station lengths aren't going to be crazy. (most I've ever need for a full-length train was 13 or 14. That was with DD40AXs and doublestack cars. If we changed the scale now, all the rail vehicles that have been done would have to go under major edits. Buildings are sorely needed, but most of the ones patrick did for pak128 will fit in with the USA theme. How far along are you in putting together pak64 USA? Do you already have a basic pak together that could be uploaded and tried out? Or are you just theorizing about pak64 USA? If you have a significant amount of time invested already, I'd be happy to start playing with the pak and looking into making graphics and/or revising existing graphics to suit the pak style. If not, I know myself and other members like rfg123 have contributed US ways, vehicles and buildings for Pak128 US. I believe we may close to having a pak128 US together. I've started creating new grounds and I have several vehicles and ways in a pak with some buildings from the standard pak128. If you want to invest your time into a pak for the USA, maybe you would be interested in 128 also? I've attached a screenshot of the new grounds I've been making. It seems that all this pak really needs is buildings, road vehicles, trams, boats, and planes. I might be able to throw in signals, additional roads, and some buildings if I can get permission from some other artists. Note that the shading is reversed from normal simutrans, so buildings and such will have to be flipped around 180. I've tried flipping the rail vehicles and it turns out a good chunk of the engines are different from side to side after the 50s. I think buildings would be easier to flip. I wouldn't mind a pak128.USA, but given how much time that's invested in pak64.USA; I'm in favor of finishing up pak64.USA first; then working on Pak128.USA. Ok Packer, I've downloaded the latest pak64 release as well as everything on the thread you linked to. Are there any other add-ons you are using for your pak64 US base? I'd like to get a pak set up on my machine for testing graphics, so I'd like to have something close to what you are working with. So what would be like the top 3 or top 5 priorities? By infrastructure, do you mean roads, canals, etc, or do you mean extensions, stations, town halls etc? I could certainly do create a new ground texture and ground lighting. Again, I'd be looking of existing source files I can use to modify, so if there is some pak source for 64 that I can use freely, please let me know the best place to find that. Aside from a few unreleased engines (IDK if we need any more); all I've added were Issac's roads and bridges, and the food chain. I haven't added rfg123's roads yet. By infrastructure I meant mostly buildings and the former group. I forgot about the latter group; but both could be done. Rfg123's (provided I get his permission to include them) and Issac's have us covered as far as roads are concerned. I'm gonna try to fix/flip the industrial graphics to reflect the new shading. Ok, I'm assuming you are leading the pak64 effort, so I assume you can answer or make official decisions on most questions specific to this pak. I've downloaded everything listed so far along with the standard pak64 source. If we are changing the light source by 90 degrees, most buildings should be easy to just swap horizontally. The questions is do the current pak64 buildings represent the USA well, or are there some that we can eliminate or modify? I've installed the paks you've created so far and really like the train additions. Love the container cars! I have a question about scale though.... how important is it? My concern is the scale of road vehicles vs trains currently. For example, the containers are 40', and are on a rail car longer than 40', assume 60'? There are some road vehicle trailers in the pak almost twice the length of the rail container cars. There aren't too many road vehicles in general, but do we want to try to reduce their size to batter match the scale of rail vehicles? Also, the visual style of your rail cars is very nice. To me, it leans more toward a comic style, a lot smoother and the colors are brighter overall (without the hard black border), where as the pak64 graphics are a little harder on the eyes. Personally, I like the smoother, colorful graphic style. It will take some work to update pak64 buildings to match the style, but I think it's worth the effort, and I'll happily help. Have you defined any kind of visual style other than the light source change? I could start on new grounds that have correct lighting and a little more vibrant color and texture, as well as smoothing out the corner transitions. This would help define the visual style. My roads are all yours. I look forward to seeing the end product. For the record, none of my research or timelines were lost, I just live far from home right now. However, a lot of my research on roads survives on my road thread as the intro/retire dates in the pak files. Another project I had was figuring out how to balance train locomotives. I biult a whole timeline 1830-2020. In general I had at least two general purpose locomotives for every year, at least one passenger locomotive, as well as "specialty" locomotives that did not neccessarily have a predessor or successor. A shame this data is not immediately available, it would save a lot of headache. I was also working on creating a balancing formula in Excel with some success. checksumdigit, Good to hear you're on board. There aren't a whole lot of buildings in pak64. A few would work, but a lot of ones from pak128 look kind of american (especially the ones from Patrick and Propermike, they even seem to match when rescaled). I've spent some time going through the commercial buildings and re-scaling and flipping the ones I think would work for pak64.us. I haven't taken a closer look at pak64's buildings yet. I've already flipped the factories for pak64, I'll have to look up how to code them though. I noticed there was a goods factory but it isn't used in the normal set. I'm tempted to include it because it looks american enough to be in the set. IDK about how the trucks are going to look. The flat car with the containers is supposed to represent 2 shorter containers (20' perhaps?) and the dobule-stack is supposed to represent longer ones (40-53'?). As for the trailers, I'd have to look at them to determine how long they are supposed to be. For reference IIRC, a 40' boxcar has a length of 7. I'm gonna try to rescale and flip some of the semis from pak 128 to see how well they work out. I didn't do the graphics (save for the F45), For the most part I'm using someone else's graphics or modification there of with permissions. Pakus.64 doesn't have a defined style yet. Having one style for everything would be nice; but I would like to get a playable and somewhat decent look set out there first. That being said, some of the buildings from pak 128 that I've rescaled look to match up pretty good with the vehicles. Can't wait to see what you come up with for grounds. rfg123, Thanks for allowing the use of your roads. I'll have to take a further look at your roads to see what you have. I'd love to see the balance sheet or the balancing formula you have, but as you said; it's not immediately available. I just borrowed the stats from the files the vehicles I'm using came from. I researched all the diesels for their respective stats though (steamers and electrics are supposed to be generic). I also noticed you had some skyscrapers based on buildings from Georgia. I think that they should work in the set too. Ok, I was able to flip the ground light texture and make some changes to the ground texture. See attached screen and compiled paks. To make the pak distinct, you could use directly the shading from OpenTTD. Just remove all color from the grass, blurr them and then copy the outside back again. That way you would get interesting diagonals (maybe they are also in pakTT in sourceforge, I forgot) and half height anyway. I looked in the above link and it does have the intresting diagonals. I'll leave the decision on which tile set to use up to checksumdigit, since he's working on the ground tiles. I managed to scale down and flip all the american looking commercial buildings from pak128. In addition, I was able to get permission for some American buildings from some others. Some of them are multi-tile though. Does simutrans support multi-tile city buildings? If not I suppose they could be coded as city attractions with somewhat low passenger and mail levels. Is someone else willing to code buildings and industries for this set? Buildings is most easy; even tile cutter can generate right building dats. The only challenge is to find the right combinations of levels and intro_date/retire_dat and weights to have nice looking towns. You can go without industrial buildings just using commercial and residential. Multitile only works as attraction or factory (the latter would have more local connections and could appear more than once per town). Okay. Intro/retire dates are what's probably going to be tricky for me. I believe I know enough to get if fairly close from the 1920s on, but I'm kind of lost before that. What are building levels and weights? I had a look at the pakTTD ground light texture and was able to do the basic reversed folds for the full height set. See attached screenshot + pak. I like how this looks, but I need to make some changes to the lighting as some parts are washed out and do not have any definition unless you turn the grid on. It may be possible to make the light map have some more realistic terrain. It will take some time to play around with the possibilities. for now, i think this lighting is ok and will certainly set this pak apart from the other 64 variants. You might wish to alter the transition textures too so that they use straight lines rather than curved and fit these lightmaps better. nice work so far checksumdigit! I've managed to go through pak128's buildings and select american-looking buildings. I just shrunk and flipped the png, so the original dat file will hopefully work. I started looking at the American city graphics (done by Oz and lifeblood on the TT-forums) and am noticing there are some buildings that could be residental or commercial. Nearby are a few buildings that have stores on the bottom floor, but have the 2nd story as a house (both residental and commercial). Some of these buildings look like they could go either way, and I'm not really sure on the era for most of them. Is there anyone who would like to help with determing era of for these buildings, whether they should be residental or commercial, and their levels? Or is there some ratio in simutrans of commercial/industrial to residental buildings simutrans uses? Here's a sample (there are over 200, maybe close to 300) of the American city graphics done by Oz and lifeblood: The mix and offices (3rd and 4th) files are the ones that have buildings that could be either or.. The Photo for the building looks good out. Those Building be pimp the Simutranspaksets. I like the 1st set of apartments and the city mix because most of those buildings have space on the tile around the buildings, unlike the other ones that fill the entire tile. I think buildings should have at least space on two sides, but that's just my opinion. I see that the lighting for these buildings is also different from how I set up the light map for the ground, but it can be fixed to match the buildings... still working on that one. checksumdigit, I noticed that too, but I think it'd look good with a bunch of them together. How's the lighting different? still undecided on whether the "office" ones should be residental or commercial. I'm thinking mix them up a bit. Looking at a city in one of my games (I usually play with buildings hidden) it looks to be about 25-40% commercial and 60-75% residental. I didn't spot any industrial buildings in it.Am I off on that one? Simutrans will not put two identical buildings next to each other. Packer, feel free to use my skyscrapers if you think they will go well with the set.. I do not have many public releases but everything I have painted I give you full permission to include.